A breakdown of Florida landlord & tenant law on security deposits. In Florida, the majority of residential leases and rental agreements require a security deposit. A security deposit is a dollar amount, normally one’s month rent, collected to cover any damage to the property that surpasses common wear and tear, and also to lessen the financial loss if a tenant decides to stop paying before the lease ends. So here is a rundown of Florida landlord & tenant law that have to deal with the security deposit. Does Florida law limit how much a landlord can charge a tenant for a security deposit? NO. There is not a legal limit on security deposits at the state level in Florida, however you should check your city and county laws to see if your township has set a limit on security deposits for residential rentals. If you would like to learn more about what steps a tenant can take to protect his or her security deposit after they have paid it, take a look at our article Protect Your Security Deposit. What about when a tenant moves out? What is the deadline in Florida for returning a security deposit? Under Florida law, the landlord has to return the tenant’s security deposit within 15-60 days of the rented property being surrendered (keys returned and vacated the premises) to the landlord by the tenant, depending on whether or not the tenant argues against any deductions subtracted form the security deposit. If you would like to learn more about tenants’ rights and landlords’ obligations when it comes to the return of the security deposit see our chart on Security Deposit Checklist. Is there additional information that Florida landlords must provide to tenants when it comes to security deposits in Florida? 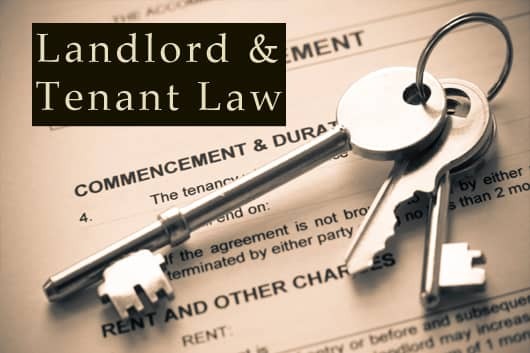 If a landlord collects a deposit they must include a copy of Florida Statutes § 83.49(3) in the lease. If a Florida landlord collects a deposit, then they have to pay the tenant any interest earned on that security deposit (annually & at the end of the lease), however if a tenant wrongfully terminates the lease they are not due any interest earned from the security deposit. In Florida, a landlord must notify its renters in advance before taking any deductions from the security deposit. Where can I look up Florida landlord & tenant law on security deposits? If you feel like going right to the source and looking up Florida law on security deposits or if you’re writing a letter to your landlord or tenant and need to cite the applicable law the relevant statute(s) can be located in Florida Statutes Annotated §§ 83.49 and 83.43 (12). Still, your city or county may have different landlord/tenant and security deposit laws than ones at the state level in Florida.